Remodeling can add value to your home but, not everyone has a lot of cash up front. Generally, home upgrades can be costly, but there are a few tricks you can use to revamp a basement without a big budget. Even with a minimal investment, you can improve the look of the basement and add value to the home with these ideas. Start with a plan. 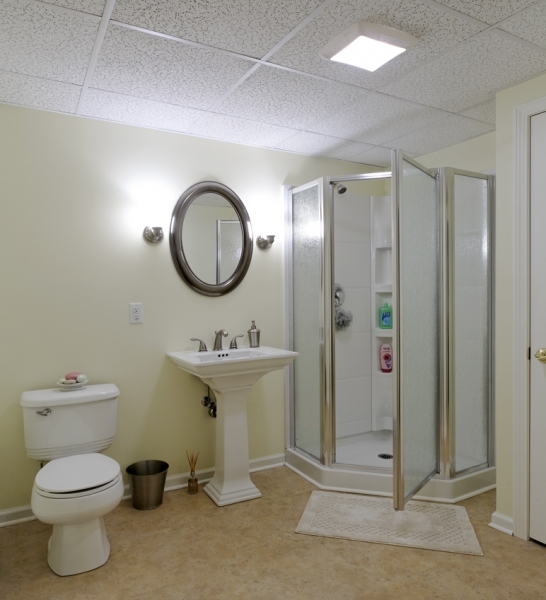 You need a detailed plan if you are going to remodel your basement on a tight budget. List all the areas that in urgent need of change. Some things can be left as is, or dealt with at a later date. At all times, keep your budget target in mind. Visit garage sales. A garage sale can be a great source of mmuch-needed items for less. You might be able to get good looking furniture to spruce up the basement. Accessories like rugs might also be available for sale. Repurpose. Taking an environmentally friendly approach can also be a money saver. 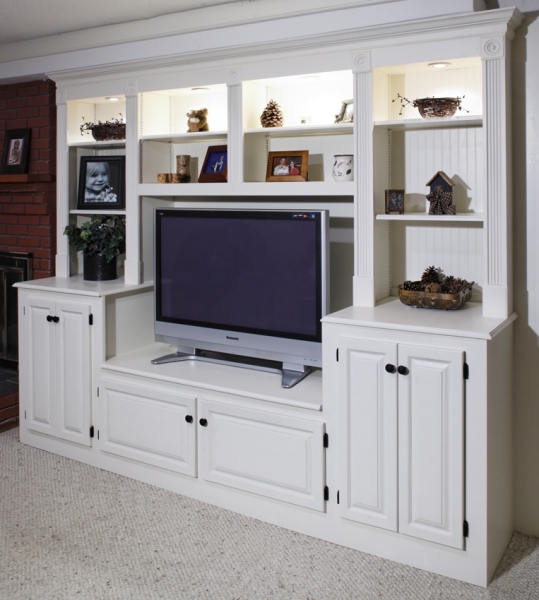 Reuse an old cabinet or other piece of furniture to make something else for use in the basement. You can also search for reclaimed wood to use for wall paneling or flooring to give the basement a classy look. Visit scratch and dent sales. Many stores will sell slightly damaged items for low prices just to get rid of them. You might be able to get furniture or appliances and stay within your budget. DIY. 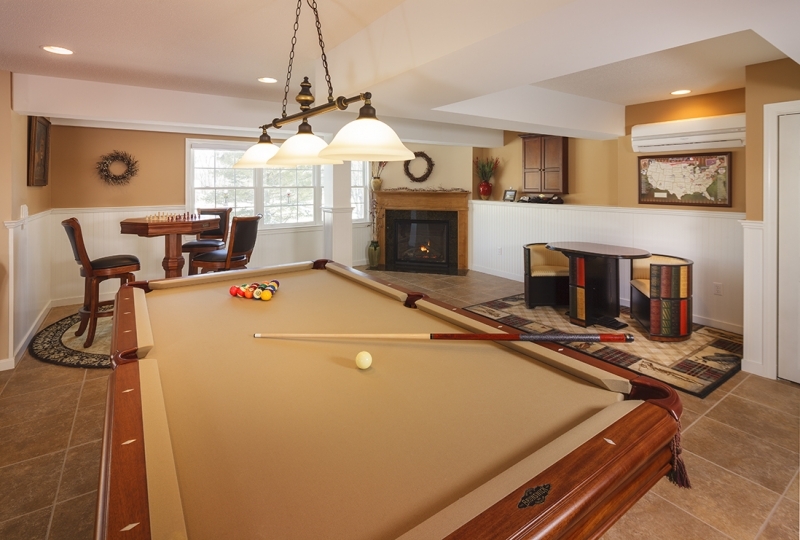 When it comes to saving on your basement remodel, nothing beats doing the work yourself. This means that you will have to keep the project simple instead of relying on professionals. 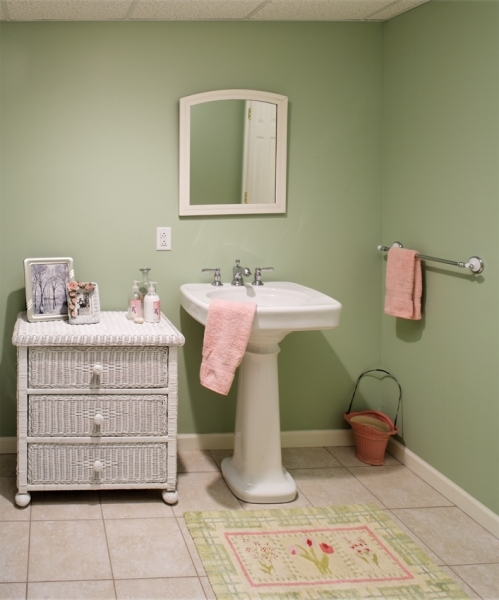 For example, use a carpet instead of installing flooring, or paint the concrete floor. Look for remnant pieces. Leftover pieces of material can be used for your remodeling project, adding beauty while saving a bundle. 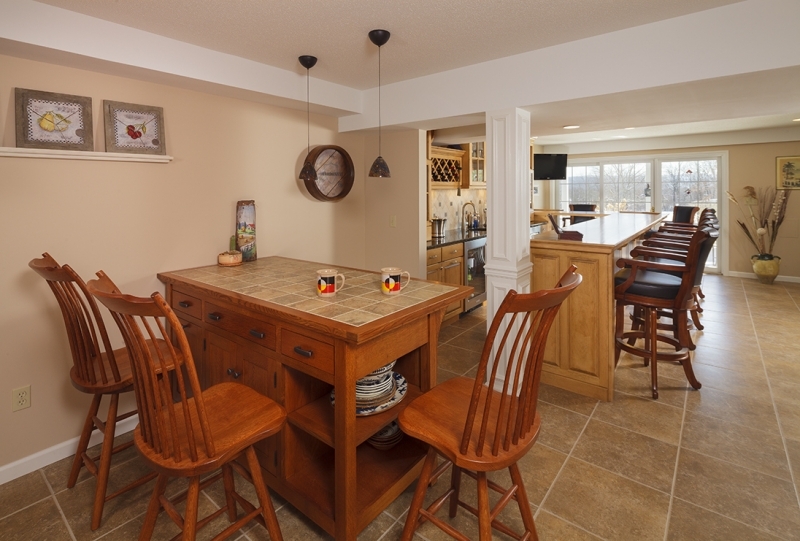 This can apply to different types of basement makeovers, whether you need a countertop for a vanity, or carpet for the floor. Remnant pieces can usually be obtained cheaply, and they may be large enough to suit your needs. Leave the ceiling. 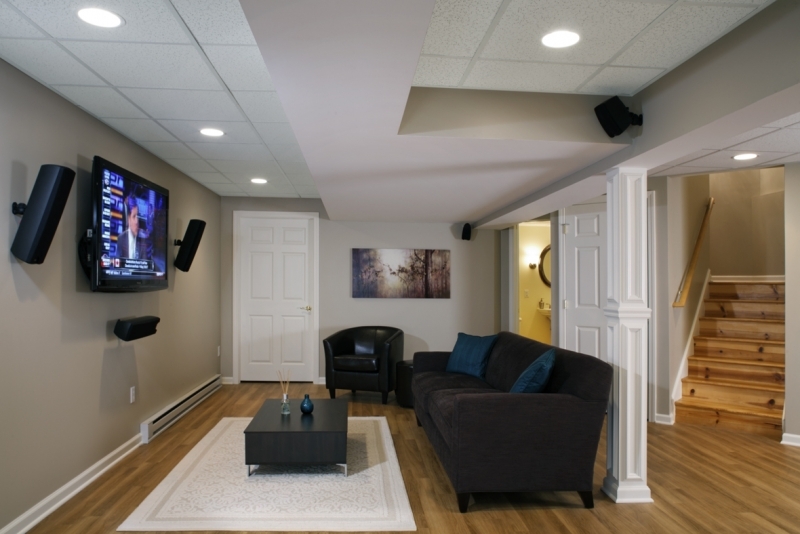 A basement ceiling can be unattractive, but covering it up will add to your budget. Focus on dealing with the essential changes to the space, and leave the ceiling for a later time. If necessary, you can use pieces of drywall to cover some of the more unsightly areas; don’t waste money on a ceiling finish. Instead of a full remodel, try focusing on the smaller details such as the accessories and wall color to brighten and revitalize the space.